The basic concept is that an invoice for regular utility supplies – like water, gas, electricity, phone – is not collected via Direct Debit any longer. Instead the Creditor sends the Debtor the invoice through an electronic channel like their bank’s eBanking channel, and the Debtor then clicks a button in the invoice and is taken to the “Payments” page of the eBanking system. There will be a payment template pre-populated with the details of the Creditor, and the Debtor pays. In the UK that would be via a Faster Payment; in Euro it would probably be via SEPA INST, the new version of the SEPA Credit Transfer that is immediate and irrevocable. What is so revolutionary about that? To provide a new bill payment option for those Debtors whose cashflow profile makes it difficult for them to agree to Direct Debit i.e. they cannot afford to pay. As the service is not limited to utility supplies, and since it will not differentiate between the type of Debtor, it raises significant issues outside this fairly innocuous intended scope. For Debtors it is an open invitation to pay the minimum and late. 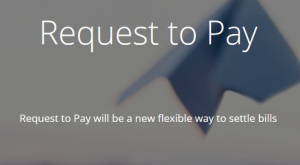 The service specification as laid out by Pay.uk does not mention the possibility of the amount of the invoice increasing if payment is delayed or not made. RtP would then become the first source of credit as it is interest-free, with an unlimited interest-free period, and as cheap – at 0% – as credit comes. Treasurers of Debtors need then to become party to where Accounts Payable have RtP as a payment option and to max out on it. This applies to all Accounts Payable, not just those currently paid by Direct Debit. What Direct Debit mandates there are can be cancelled. RtP does not contain the Direct Debit guarantee, so the Debtor does not have the right of reclaim after they have paid – which is 42 days under EU legislation but indefinite under the UK scheme. Payment under RtP is irrevocable as well as instant, but that does not matter so much if you do not pay at all, or if you pay more than 42 days after the invoice date: you are quids in! This is not such good news for Creditors, of course. Arrears will pile up. Then there is complexity, as new usage will pile on top of arrears in the next invoice, and Creditors will need to make clear, when a payment is received, which element of the invoice has been reduced and by how much. Creditors will need to have Terms and Conditions for RtP users that read like a loan agreement, which has detailed clauses about which obligation gets reduced by a payment received. In fact RtP turns them into a bank, but one that cannot charge interest to borrowers. The amounts Creditors have “invested” in Working Capital will increase, as Accounts Receivable remain outstanding for longer. Treasurers will need to be sure they can finance that, through bank lines or through late payment to Debtors. Larger companies should be able to cram down on smaller ones and transfer the Working Capital burden to UK SMEs. RtP does not create a negotiable instrument, so it cannot be discounted at a bank, unlike where trade is documented on a Bill of Exchange. It will also have a questionable credit risk profile, as it is aimed at service users who have difficulty paying. The Creditor will incur increased interest by having more Working Capital outstanding and for longer, as well as costs from the added complexity and administration. Treasurers will need to get right on top of what these increased costs are from the outset, and track their profile. As RtP contains no mechanism for the increased costs to the Creditor being passed back to the RtP Debtor in interest and charges, the costs of RtP will need to be met by other customers. The extra costs caused by RtP Debtors will need to be defrayed across all service users in the form of an increase in the cost of the service: it will not be possible to charge RtP payers a higher “pence per therm”. RtP needs to be viewed by Treasurers at Creditors, from the outset, as a mechanism through which those that can pay, in full and on time subsidise RtP users i.e. as a crude Wealth Transfer mechanism. Treasurers of Creditors will want to make sure it is not the wealth of their shareholders that is transferred, but that of the customers who are creditworthy. In the past the creditworthy – those paying by Direct Debit – were offered a discount on the “pence per therm” but clearly that has to be eliminated to enable RtP: the price has to be one and the same for all users, and this has to build in an increase to cover the costs of RtP.